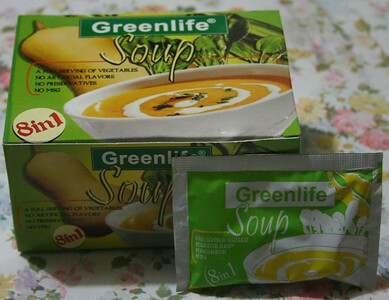 I bought this box (20 packets per box) of Greenlife soup during my Waldorf crash course from the brother of the formulator, Dr. Jaime Galvez Tan. The beauty of this organic veggie soup is that it's just like any instant soup. The funny thing too is that it tastes like the usual instant noodles, without the salt and preservatives. Greenlife also offers a veggie plus juice drink (love it too! ), veggie coffee and syrup for kids.